Ojo's World: Making my Money Grow! I was recently asked to join in with a project, in conjunction with Debt Free Direct. 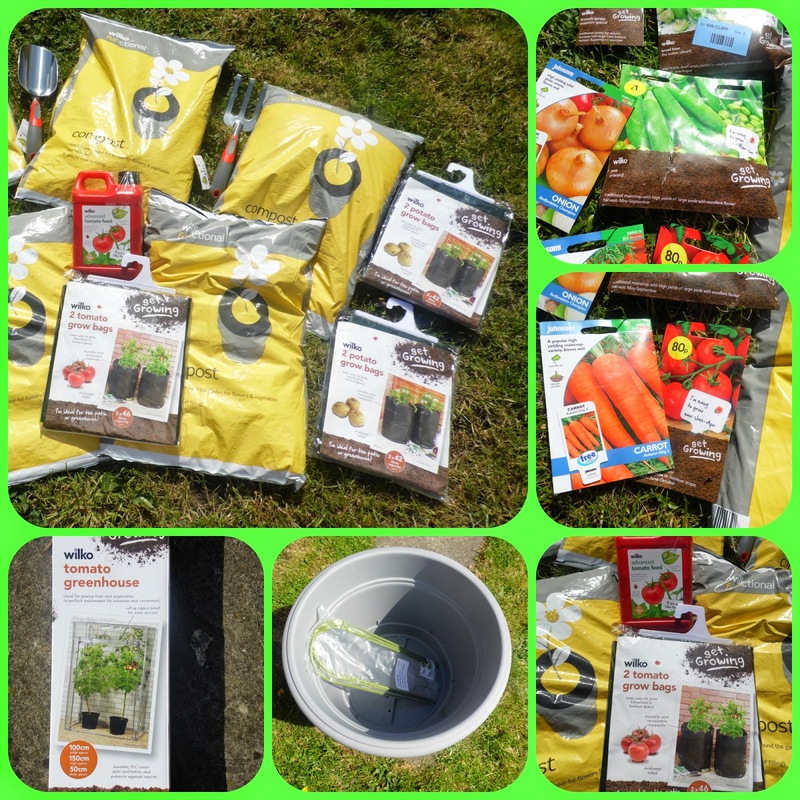 They have asked me to have a go at growing my own veggies, to see if it saves me money! Making my money grow.......get it?! Now us here, in Ojo's World, do like any suggestion for saving money. So, obviously, I jumped at the chance! The first thing they asked me to do was go online shopping..........Yeah, that was a real problem (shhh, I can hear you laughing!). I will say, the original items for starting my little veggie patch were supplied, free of charge. I did, however, get the joy of going to Wilkos online to pick the items needed. Now I have a reasonable size garden, but I also have 3 children and a dog. So I wanted to show that you can 'grow your own' even in a small garden. My garden is not bad, it's just a little *unloved*. 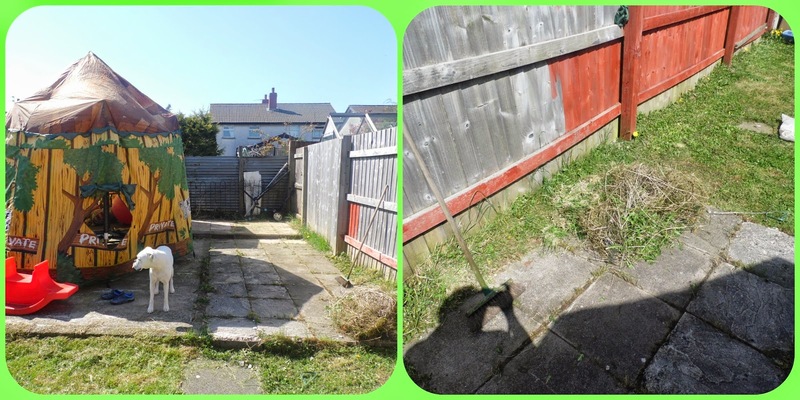 To make use of overgrown spaces in a way that can save me money, is excellent! Mr. Ojo and I sat down with a pen and paper 1st, mapped out exactly what we could fit. Then we decided what we wanted to grow, that would get eaten. Growing your own veg gives you a sense of achievement, we've done it before, but there is no point in growing food that will go to waste! One of the big staples are Potatoes, we eat a lot of them. I went with Maris Piper, because they are a great 'all round' potato. Then we added other foods that we would eat regularly, like peas and beans. I love fresh cut beans from the garden, I would happily eat a bowl of them for lunch.....nothing else, just them! I have to say, the whole process of ordering the required items, was very easy. I would recommend writing out what you are looking for 1st though. There are so many varieties of vegetables available, you could get muddled. With the offer of a reasonable delivery charge (£3.49, for most small items, at time of ordering). Or, if you live near a Wilkos, you could have it delivered there, free of charge, and pick it up. Now all we need is for some more sunny days. It hasn't stopped raining since the day after we received the items! So let's hope the sun has his hat on, and the Mr has green fingers! Because as soon as we can get planting, I will let you know how we get on. Do you grow your own? Have you considered trying it, to save a bit of money? Try this site: Making Money Go Further for some extra money saving tips. I hope to see your progress. I'm useless in the garden. I manage to kill most things. We have an apple tree but end up giving more than half away! A fab way of saving money, especially with salad leaves that grow so fast but cost so much to buy in supermarkets!